There are not many actors in Hollywood who can fit into the shoes of Nick Nolte. He is all of an actor, film producer, book author and now a former model. Nolte’s career has spanned over 4 decades with a myriad of notable works that have been commercially successful like The Prince of Tides, Affliction, Warrior and many others. The actor has, in the course of his long-standing career, been nominated for awards as well as won some for the works he has done. Find out more about him below. Nick Nolte was born on the 8th of February 1941 to Franklin Arthur Nolte and Helen (née King) in Omaha, Nebraska. Nick has a rich family background whose ancestry includes all of German, English, Scotish-Irish, Scottish and Swiss-German. His father was a renowned footballer at Iowa State University while his mom worked at a department store and rose to become an antique shop dealer who was very successful at the time. For school, he attended the Kingsley Elementary School located in Waterloo, Iowa. From there, he proceeded to Westside High School in Omaha where he played football as a kicker for his school team. Later, he was enrolled at Benson High School but in the course of time, he got expelled from the school for being in possession of and drinking beer during one of his school’s football practice session. Nevertheless, the would-be actor finished high school and enrolled to study at Pasadena City College in Southern California. Not long after, Nick Nolte headed to the Arizona State University in Tempe to study on a football scholarship before he stayed briefly at the Eastern Arizona College in Thatcher and Phoenix College in Phoenix. Despite the many schools he attended, his poor grades didn’t allow him to make meaning out of what he was really doing in school. Thus, Nick began focusing more on his acting career. On Walt Disney’s Wonderful World of Color (1969) in the episode “The Feather Farm”, Nick made his debut on screen. His break out role would, however, came with a mini television series titled Rich Man, Poor Man in the year 1976. Following this, he made appearances in films like The Deep (1977), 48 Hrs. (1982), Lorenzo’s Oil (1992), Hulk (2003) as Dr. David Banner/The Father, Gangster Squad (2013) and The Padre (2018) as the character Nemes. Nick’s other television credits boast of Barnaby Jones (1974–1975), Luck (2011-2012), and Graves (2016-2017), where he notably played the character of President Richard Graves in 20 episodes. So far, his career parades awards like Boston Society of Film Critics, Los Angeles Film Critics Association and Golden Globe Awards for Best Actor and Best Actor – Motion Picture Drama in The Prince of Tides (1991). Nick Nolte also won Best Actor and Best Foreign Actor from National Society of Film Critics and Sant Jordi Awards respectively for his work Affliction (1991). His last award came in the year 2011 with Warrior when he picked up the Best Supporting Actor award from San Diego Film Critics. The Prince of Tides star has a very long career with many works to show just how good he is at what he does. 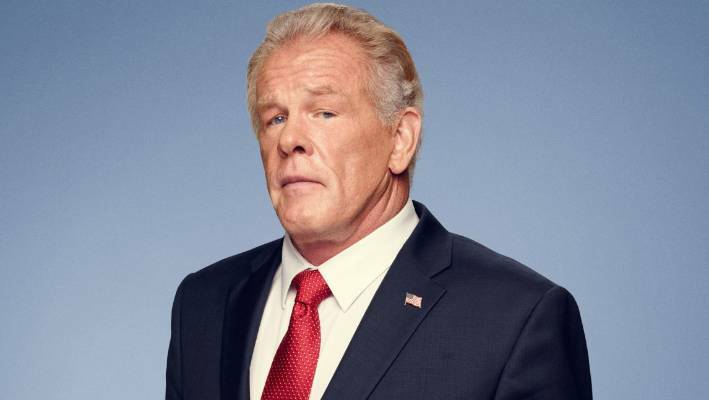 For all he has done so far, invested in and earned from, Nick Nolte reportedly has a net worth of about $75 million. Though he is quite advanced in age now, the seasoned actor has not retired from acting as he still stars in a couple of movies. With this, his net worth will most certainly keep on increasing in the coming years. 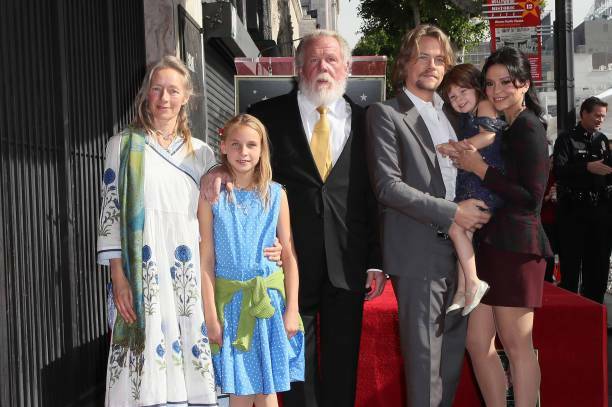 Nick Nolte has been married up to 4 times. His first marriage was to Sheila Page who became his better half, beginning on November 28, in the year 1966, until the year 1970 when they divorced. Eight years later, he married Sharyn Haddad on 10 May 1978 and was with her till the 16th of February 1984 when they called time on their union. Following his second divorce, Nick and Rebecca Linger said “I do” to each other on 19th February 1984 and saw to the birth of their son Brawley King Nolte in the year 1986. However, another divorce struck their home in 1994. Brawley has made a few acting appearances, perhaps stepping into the shoes of his father. Having had 3 divorces, Nick Nolte can be said to have seen it all in marriage. He is currently married to Clytie Lane with whom he has a daughter named Sophie Lane. Sophie was born in the year 2007 while her parents walked down the aisle on 8 September 2016. Aside from the women he had previously married, the seasoned actor notably dated Vicki Lewis, Kate Jackson, Karen Louise Ecklund, Debra Winger, and Jacqueline Bisset. 1. From the 1960s through the 70s, Nick Nolte was a model and in the year 1992, he was named the Sexiest Man Alive by People magazine. 2. In line with his plenitude of awards and recognitions, the actor has a star on the Hollywood Walk of Fame in his honour which was unveiled on November 20, 2017. 3. Nick was once arrested and convicted for selling fake IDs in 1962 after which he was slammed with a 5-year jail term. 4. Away from the shouts of ‘action’ and ‘stop’ in a movie set, Nick Nolte spends his spare time doing glassblowing or tending his garden. He is an organic gardener.